Like his father (singer-songwriter-actor Loudon Wainwright III) and his mother (Kate McGarrigle, who has written and recorded with her sister Anna for years) before him, Rufus Wainwright occupies a rare and special niche in the music business (and his younger sister Martha seems to be heading in this direction, too). Rufus is an artist who has never quite captured an audience, but his albums are consistently interesting enough and sell just enough copies that he is able to continue releasing new projects. This can be a pretty interesting and productive career strategy, after all within weeks of this album's release dad put out Strange Weirdoes: Music from and Inspired by the Movie "Knocked Up", his 21st studio album in nearly 40 years of recording. Some of the other artists who have been elevated to this status include Leonard Cohen, Tom Waits, Nick Cave, Laurie Anderson, Lou Reed, Patti Smith, Bruce Cockburn and Bob Mould. Not bad company to be in. Rufus Wainwright does not take such lofty opportunity for granted, and this, his first CD in three years, continues his streak of consistently intriguing albums. Release the Stars is not Wainwright's best work (that would still be his 1998 self-titled debut), but there is enough meat on its bones to still make it an interesting addition to his canon. Perhaps the most devastating moment on the album is the deceptively sweet, gorgeous piano ballad "Going to a Town." Musically it is tranquil, but it has a surprisingly bitter lyrical punch about life in George W. Bush's country from the left-leaning (and openly homosexual) troubadour; "Tell me, do you really think you go to hell for being loved/Tell me, and not for thinking everything you've done is good/I really need to know/After soaking the body of Jesus Christ in blood/I'm so tired of America." Of course, Wainwright is a savvy enough writer to surround it with the baroque world pop of "Do I Disappoint You?" and the show tune-sweet "Tiergarten." He also flexes stylistic muscles with the surprisingly tough rocker "Between My Legs" and the mopily sweet retro-sweep of "Rules and Regulations." It may even be unfair to try to stick normal pop rules to Wainwright -- like Pet Shop Boy leader Neil Tennant, who collaborated on much of this disc -- he is trying to bring a torchy cabaret sensibility to a sometimes disposable art form. He is not willing to sacrifice his vision in order to write some strong pop hooks, which is both the saving grace and the catch-22 of his career. 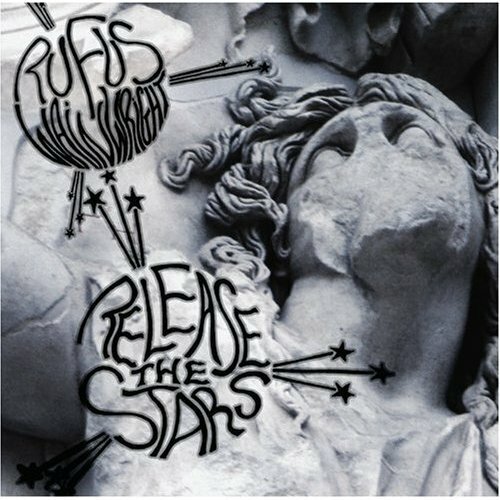 Because of that stubborn individuality, Release the Stars probably won't be the album that breaks Rufus Wainwright to a mass audience -- and that's a shame. Copyright � 2007 PopEntertainment.com. All rights reserved. Posted: June 9, 2007.